A big buck stood with its head behind a tree. 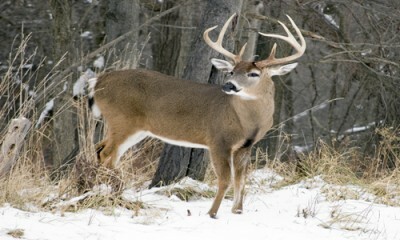 The antlers’ beam stretched out past his nose and the white tail guaranteed its identity. As frustrating as it can be for a guide (or a hunting buddy) it is tough to argue with a safety mindset. But is it possible to take it too far? There are so many times when a shot opportunity happens quickly and at close range. So what is a hunter to do? In my own hunting style I always have a bullet in the chamber while pursuing game. When I push my rifle into a scabbard on a mule or step into my truck the chamber is cleared and in particularly unsafe situations like climbing on hands and knees or stepping across some structure where a slip is likely my chamber is cleared then too. But where is the line between safety and purposefully (and unnecessarily) limiting opportunity? This is a tough call and one that shouldn’t be taken lightly. 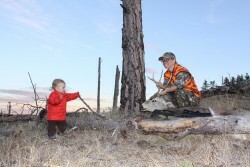 We teach young and new hunters to be safe and safety is far more important than any trophy or meat we might gain from hunting. Although, countless stories of hunters who suddenly found a wolf staring them down settled their crosshairs on the animal and pulled the trigger only to hear a ‘click’. Empty chambers can ruin hunts but then again sad stories of hunters who did just the opposite and thought their gun was unloaded ended with tragedy. This hunters safety quandary may never be solved with a singular solution. There is after all no one-sized-fits-all answer for every scenario faced by hunters. A healthy mix of safety and strategy should result in the ability to take a shot safely and accurately without the possibility of harming anything you don’t wish too. Good muzzle control where the business end of the rifle is always pointed away from people and frequently checking the safety should be acceptable in most situations. But there is no replacement for good decision making in the field. 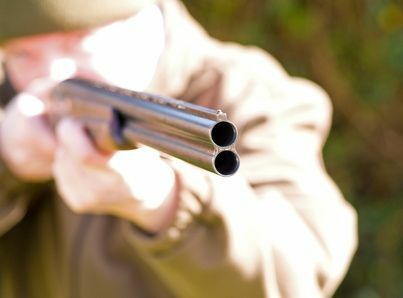 Always follow the basic gun safety rules that include things like knowing your target and beyond, maintaining muzzle control, keeping your rifle on safety until ready to shoot and unloading the firearm whenever crossing tricky fences, blow downs or creeks. Always think “safety” and be ready to make the shot when it counts – how this is accomplished really doesn’t matter as long as you and the members of your hunting party are safe and having fun. Be safe out there and remember to enjoy your time afield.